According to the rule of Soviet law, which Russians over the age of 40 believe, most forms of capitalism are a crime, especially investment banking. By the rule of modern Russian politics, if Alexei Kudrin, German Gref, and Andrei Kostin announce a man is innocent, he is bound to be guilty of something. When the London newspapers claim a man is as innocent of their Russian indictments as Mikhail Khodorkovsky and William Browder, then their culpability is certain. In the case of American banker Michael Calvey, he was arrested and imprisoned in Moscow on February 14. He is charged with fraud by inflating the value of an asset he used his control shareholding in Orient Express Bank (Vostochny Bank is the Russian name) to arrange for the bank to buy at a $37 million profit for himself, and at a corresponding loss to the bank. He has made two court appearances and declared the charge is false. He has counter-charged two Russian minority shareholders in the bank for trumping up the case in their hostile takeover of the bank. His trial is scheduled to commence early next month, Judge Artur Karpov presiding. The charge sheet has not been released by the court nor by the Moscow prosecutors. Calvey’s advocates in the press claim he is innocent, but they have not seen the indictment nor the evidence from the bank and transaction records obtained by the Federal Security Service (FSB) before Calvey’s arrest. Calvey’s lawyer refuses to answer questions. Papers from a Cyprus Supreme Court judgement involving Cypriot front companies for the bank shareholders have been selectively leaked to the pro-Calvey press, along with claims he is making in a confidential London arbitration proceeding. The reporters and lawyers won’t release these papers, or details from the asset valuations on which the case for fraud depends. One of the valuations has reportedly been carried out by the KPMG accounting firm; another by the Central Bank which has been inspecting Vostochny Bank’s books since it reached the verge of collapse in 2017. Calvey raised his shareholding in the bank from 20% in 2010 to 64% by mid-2015. He was the control shareholder of the bank when its losses started to mount in 2013. Calvey was responsible on the bank board for losses in 2014 of Rb5.3 billion ($95 million); in 2015 the losses had almost doubled to Rb9.5 billion ($130 million); in 2016, the losses were Rb4.7 billion ($77 million). The Russian prosecutors haven’t charged Calvey with criminal loss-making, apart from the fraud count which allegedly occurred in February 2017. Calvey’s supporters have no explanation for his earlier mismanagement of the bank’s capital. 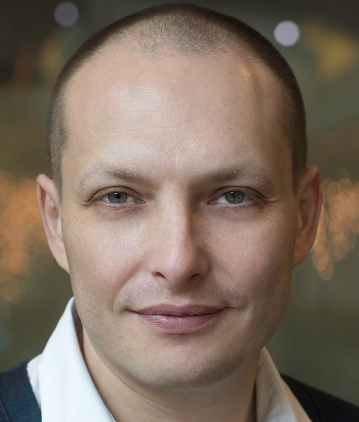 The two Russian shareholders whom Calvey accuses, Artem Avetisyan and Shersod Yusupov, didn’t become Vostochny shareholders until the second half of 2016. That’s after Calvey had supervised accumulated losses over four years of $329 million. “This is unprecedented. He’s a US citizen,” the Financial Times quoted a western backer of Calvey. He meant the fraud charge. Not the bank’s loss-making. Calvey’s supporters call him “Russia’s most successful fund manager”. A short history of the rise and fall of his direction of Vostochny Bank can be followed here in the Russian bankers’ bible, Banki.ru. Left to right: Michael Calvey of Baring Vostok, which has held its shares in Vostochny Bank through Cyprus-registered Evison Holdings; Artem Avetisyan, whose shares in the bank have been held by Cyprus-registered FinVision Holdings; and Sherzod Yusupov. The next month Fitch issued a ratings downgrade for the bank. Without mentioning Calvey by name, the Fitch report claimed Vostochny was introducing fixes — “somewhat tighter underwriting standards” for its loans, along with higher interest rates and reduced administration costs. “The bank is expecting around RUB3bn of new equity (equal to about 1.2% of regulatory risk-weighted assets) from its key shareholder by end-2015, following a RUB2.6bn injection in June”, Fitch revealed while concealing Calvey as the key shareholder. The new cash wouldn’t be enough, however. “Longer-term solvency will largely depend on the quality of new lending. OEB [Vostochny] is mostly customer-funded (80% of end-1H15 liabilities) and its liquidity cushion was sufficient to withstand a significant 22% customer funding outflow at end-8M15.” Not the bank was to blame but its customers, according to Fitch. Calvey ordered a quarter of the bank staff to be laid off; half the bank branch offices were closed. At this point Banki.ru reported Calvey owned almost 70% of the Vostochny shares. 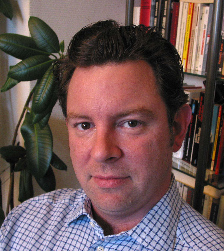 He was also reported to have initiated “a new development strategy, in particular, it plans to scale down operations in the high-risk segment of express lending and increase the portion of commission-based products.” This plan turned out to be a failure, but by the end of the year Calvey had added more capital and acquired more shares; he now controlled 74.4%. Bank experts call this throwing good money after bad. Russia’s financial sector as abuse of illiquid valuations is a wide spread practise.” There is no doubt that Calvey, desperate for Avetisyan’s bailout, had agreed on the valuations when they made their merger deal. In December 2017 the bank reported it was still loss-making, but the figure was down to Rb566.7 million ($9.8 million). In 2018, the bank returned to profit. In July this was Rb3.4 billion ($54.5 million); by December it had grown to Rb3.9 billion ($58.2 million). Was this the turnaround on which Avetisyan’s deal to take over from Calvey depended? Did both of them decide not to replenish the bank’s dwindling capital but to take their dividends instead? The bank has not published audited reports. Avetisyan has revealed in Russian court papers that the terms of his deal with Calvey required the latter to sell him another 9.99% of his shares, giving him majority control by the close of 2018. The Calvey claque are now charging through the press that Avetisyan was draining assets from the bank through loans to related parties which he had no intention of repaying. No evidence has substantiated this allegation. The proceedings where they are being tested at the London Court of International Arbitration between Calvey and Avetisyan is closed. Avetisyan declines to respond to the charges or answer questions. His lawyers have filed a lawsuit in the Amur arbitrazh court – the region where Vostochny is registered — seeking a court order to freeze Calvey’s shares until there can be a court adjudication of the deal for the 9.99% stake. Subtracted from Calvey’s 45%, added to Avetisyan’s 32%, and combined with Yusupov’s stake of at least 4%, this deal removes Calvey’s power over the board and management. Calvey arranged for a press leak of excerpts of documents from KPMG’s valuation of IFTG, but the documents themselves have not been published. In September Calvey and Avetisyan appeared to strike an agreement to put Avetisyan’s man, Vyacheslav Harutyunyan, into the management as chief executive, while confirming Calvey’s appointee, Alexander Nesterenko, as chairman of the board. But this proved to be as unworkable as Calvey and Avetisyan were with each other. Calvey tried to block the management change in the Amur arbitrazh court. On September 19, 2018, Moody’s warned that it was starting a review of the bank for a rating downgrade. Calvey’s supporters now claim Avetisyan lacked the readies to meet the Central Bank’s cash call. They ignore the evidence that Calvey had already decided not to subscribe any more cash himself. The Central Bank is notorious for taking sides during contested bank takeovers and for using its regulatory powers to assist bank raiders. Follow the story of the Central Bank’s demolition of Trust Bank and its subsequent cover-up of fraud by Otkritie Bank shareholders by clicking here. In the account of the Central Bank’s decisions on Vostochny Bank, there is no evidence and no press reporting to suggest that Calvey was backed over Avetisyan for the future of the bank, or vice versa. In February, Avetisyan and Yusupov lodged a complaint with the Federal Security Service (FSB), accusing Calvey of defrauding Vostochny. The dossier was handed by Major-General Ivan Tkachev of the FSB to the Deputy Chairman of the Investigative Committee of the Prosecutor-General, Lieutenant-General Igor Krasnov. Their names appeared in the court papers presented during Calvey’s arraignment. The charge in the papers, read out in court, was that Calvey and others under his control at the bank had cancelled a loan by the bank to First Collection Agency for Rb2.5 billion in exchange for a 59.9% shareholding in International Financial Technology Group. The latter, owned by Calvey, benefitted from the difference between his valuation of the shares which the bank had paid and the real value of the shares. The difference equivalent to $37 million was fraud, according to the complaint and according to the charge in court. Leonid Bershidsky (right), a Moscow reporter who graduated from the Moscow Times when Mikhail Khodorkovsky was a shareholder, to Vedomosti, owned between the Financial Times, Dow Jones, and the Moscow Times, now lives in Germany. He wrote in defence of Calvey without seeing the charge sheet or court documents, talking to the prosecutors, or to Calvey himself. In a piece printed on the Monday after Calvey had been arrested, Bersidsky claimed that Avetisyan and Yusupov had the advantage over Calvey because they are “well-connected individuals with business ties to the sons of some top Russian officials and state company managers.” Bershidsky didn’t want to offend the Gref family by naming them. When Bershidsky was asked to describe his evidence in Calvey’s favour, he refused to answer, saying by telephone he was “too busy”. 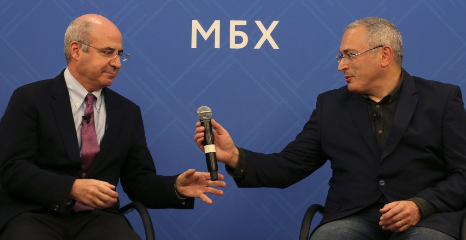 Bill Browder and Mikhail Khodorkovsky at a London press conference, November 19. 2018.